On site we have a Dulux paint mixing machine with the capacity to mix any Dulux colour in Dulux Trade bases up to 5L. In store you will find our tower of colour swatches, charts and booklets that you can peruse and take away (free of charge). When you have narrowed down your options you can ask us to mix you as many sampler pots as necessary. 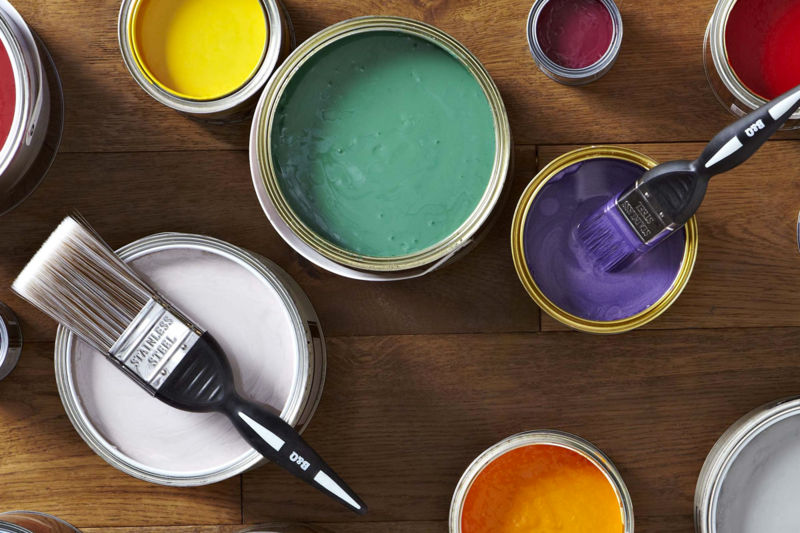 Once you have put up your sampler colour and have made a final decision, come in and speak to one of our paint experts in store about what bases would be suitable the job that you are doing, tell us the colour and size and we can get your mix started straight away (avg. mix takes 5­-10 minutes, times vary dependant on colour, size and quantity). Our mixing machine also has the facility for Cuprinol Shades, Hammerite, Bathroom paint, Masonry and Weathershield paints.